These terms and conditions apply to any person that makes a booking (the “hirer”) using Reserve Travel Ltd ("Reserve"). This includes telephone bookings, bookings made via any partner/affiliate referrals and bookings made through any of the Reserve websites/brands. The contract also covers any property owners/managers (“Principals”) choosing to advertise their properties with Reserve and any partners/affiliates that Reserve work with. The hirer should also refer to the terms and conditions imposed by the property manager ("the Principal"), which are available during the booking process of each property. Reserve acts as a disclosed agent between the hirer and the Principal. A contract of booking is made between the hirer and the Principal at the point where the booking is fully confirmed. This does not include the automated email sent out by the booking system confirming the dates you have entered, your personal details, etc. You will receive full confirmation from the Principal shortly after your booking has been made. Every effort is made to ensure all prices are correct. However, due to the complex pricing structures often in place and the potential of human error, Reserve and the Principal reserve the right to cancel or decline any bookings that are priced incorrectly. Reserve is not obliged to accept any bookings and may turn bookings down at their sole discretion. In the event of any cancellation made by the hirer, the 25% deposit paid at the time of booking is non-refundable. For information on any amounts charged by the Principal in the event of a cancellation please refer to the terms and conditions issued by the Principal. Please consider obtaining personal holiday insurance to cover this and other potential losses. In the event of any cancellation made by the Principal a full refund of all monies paid will be given by the Principal. Reserve aims to give the earliest notice possible in the event of any cancellations or declined bookings. However Reserve will not be held liable in any way for cancellations or declined bookings made by the Principal. Any claims for compensation must be made directly to the Principal. Reserve will make every effort possible to find alternative accommodation at a suitable price in the event of a cancellation or a declined booking. However Reserve will not be held responsible or liable if alternative accommodation cannot be found. Please note that as the properties advertised can have different owners/managers, in the event of several properties being booked by the same person they will still be treated as individual bookings unique to each specific property. 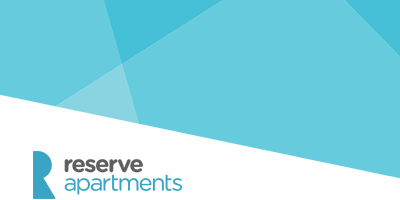 Reserve make every reasonable effort to ensure that descriptions of properties are accurate at all times. However Reserve are not liable for misrepresentation of properties/condition of properties. All disputes must be made directly to the Principal. The hirer shall not sub-let the premises, facilities or services booked, or any part thereof. The number of people occupying the premises shall not exceed the party size agreed at the time of booking unless prior permission is sought. This is particularly applicable to properties that charge for additional guests. The hirer binds and is obliged to vacate the hired premises without demand at the termination of the period of hire. The hirer shall, at all times, keep the hired premises in a clean and tidy condition and leave them in this way. A charge may apply for an unreasonable amount of cleaning at the termination of hire. The hirer shall undertake to prevent any member of their party from causing a nuisance or disturbance to other residents, neighbours or occupiers. The hirer undertakes to permit the Principal reasonable access to the property. The hirer undertakes to relieve the Principal from any liability for damage or injury however caused by any member of their party. The Principal accepts no responsibility for loss, injury or damage to any member of the hirer’s party or their property, however caused, arising in any manner out of the let of the premises. Reserve act as a disclosed agent/intermediary acting on behalf of the Principal. Principals must supply their booking terms and conditions to Reserve using the booking console/administrator. The duty of ensuring suitable terms and conditions are in place and kept up-to-date lies solely with the Principal. The increasing of prices compared to the Principal's direct/standard rates is prohibited. The use of special offers and discounts on any Reserve website is encouraged and will be promoted. All bookings must be acted upon and followed up by the Principal within a reasonable amount of time. Reserve recommends contact is made within 24 hours of the booking being processed. Reserve handles all enquiries and will contact the Principal if the answer to any question is unknown. Reserve will charge an agreed rate of commission (plus VAT) to the Principal on all bookings. The booking system may be used on your own website and an agreed rate of commission will be charged for this use. If a booking is cancelled by either the Principal or the hirer, Reserve's agent fees/commission, which occur at the point of booking, is non-refundable. Reserve is not liable in any way for bookings cancelled by the hirer, however caused. All monies will be retained by Reserve until successful completion of the stay, after which the Principal will receive all monies net of Reserve's commission. Payments will be batched and processed by the 10th of each month covering departures for the previous month. Alternatively you can connect your booking system to your merchant account and any payments will be sent directly to you. Reserve will invoice for the agreed rate of commission. A contract of booking is formed between the hirer and the Principal when the Principal confirms the booking to the hirer. This must be done within a reasonable amount of time. Reserve suggests contact is made within 24 hours of booking details being processed. The Principal is liable for any claims made by the hirer in the event of the Principal cancelling the booking. Reserve will not be liable in any way. Reserve agrees to grant The Affiliate ("Affiliate"), the non-exclusive right and licence to advertise, market and promote the Service ("Service") offered by Reserve. Reserve shall reimburse the Affiliate for these promotional services by sharing a proportion of the revenue generated as a result of the Affiliate's activity. Reserve shall retain the right to provide the Service in any form Reserve deems appropriate; and retains the right to change or cancel any part of the Service, at any time. The Affiliate shall only engage in advertising, marketing and promotional efforts which do not violate any law, and which reflect positively upon the business reputation of Reserve. The Affiliate shall not intentionally masquerade as Reserve. The Affiliate shall not participate in activities such as use of unsolicited e-mail and search engine marketing activities that fall outside the main search engines guidelines such as cloaking, sneaky redirects, automated doorway page generation etc. The Affiliate also agrees to market the Service in a manner that is consistent with the content and style of the Service. The Affiliate shall indemnify Reserve against any and all claims asserted against Reserve that may result from the Affiliate's marketing and promotional efforts. The Affiliate acknowledges that all trade marks, logos, software and materials supplied by Reserve and all rights associated with them remain the property of Reserve. "The online booking service provided on this site is provided by Reserve and as such any use of the service is subject to Reserve's normal terms and conditions available from Reserve on request: Reserve Travel Ltd., 16 Rutland Square, Edinburgh, EH1 2BB"
Reserve will pay the Affiliate a commission based on sales attributed to the Affiliate by Reserve's tracking software. The commission paid will be at an agreed rate (as a percentage of the total booking value). Reserve shall pay out the commission for the previous month prior to the 20th day of each month by cheque or any other suitable method. If the amount of commission due is less than £50, then the amount due shall be rolled over into the next month until such time as the commission due exceeds £50. Reserve reserves the right to alter the commission due from time to time to reflect overpayments, consumer chargebacks and/or credits or underpayments to consumers by Reserve. Reserve will self invoice on behalf of the Affiliate and will account for VAT according to whether or not you have supplied us with a VAT number. It is the Affiliate's responsibility to provide a VAT number if the Affiliate is VAT registered. Reserve shall have the right to withhold any and all payments to the Affiliate if the Affiliate is in breach of this agreement. Reserve will not pay commission on bookings cancelled at any stage of the booking or confirmation process. Reserve has the right to cancel this agreement with immediate effect for any or no reason. Upon the cancellation of the agreement, the Affiliate shall immediately return to Reserve any and all materials, over which Reserve has a proprietary right, that are in the Affiliate's possession. The Affiliate shall also immediately remove any hyperlinks and materials, over which Reserve has a proprietary right, from the Affiliate's web site and/or the web sites of the Affiliate's agents. Users that utilise Reserve facilities and services and all information relating to such Users shall remain the property of Reserve at all times. The Affiliate and Reserve each agree that each may have access to, and become acquainted with, Confidential Information of the other. The Affiliate and Reserve each specifically agree not to misuse, misappropriate or disclose any such Confidential Information, directly or indirectly, to any third party. Reserve may amend any of the terms and conditions contained in this Agreement, at any time and at its sole discretion. In the event that these terms and conditions are amended Reserve will notify the Affiliate by e-mailing the Affiliate.